O2 Rainwear | Waterproof. Breathable. Lightweight. O2 Rainwear won't let a little foul weather slow you down. Whatever mother nature dishes out, O2 Rainwear is built to keep you comfortable. 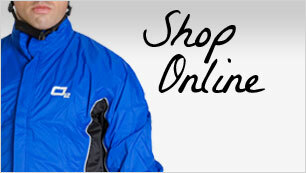 Now you can buy O2 Rainwear online.